I was experimenting with a few Revlon Nail Enamels yesterday and I wanted to create a summer nail look, so I went for pastels, girly, and sparkly shades to create a floral look! I painted my thumb-nail with Revlon's TopSpeed in Cloud, a gorgeous bright pastel lilac shade, and then I painted the top half with Revlon's Fuchsia Fever, a girly pink shade which I then painted over with Revlon's glitzy Stunning Nail Enamel. I painted my grooming finger with Cloud and then I painted the Stunning coat over it; my middle finger was painted with Fuchsia Fever- and then I painted a flower on it with a small brush using Cloud and Sunshine Sparkle, a light shimmery pastel yellow- perfect for a floral manicure. My ring finger was painted again with Cloud, and then I used Fuchsia Fever, Impulse- an elegant purple shade, and Sunshine Sparkle to paint the flowers, and then I cheekily added a gemstone to add a little glam to the manicure! And I just painted my little finger with Fuchsia Fever with a top-coat of Stunning! Shade names from left to right: Revlon TopSpeed in Cloud, Revlon Stunning, Fuchsia Fever, Impulse, and Sunshine Sparkle. Pastel and Ice Pastel Nails with Revlon! I've promised pastels so voila! I recently tried Revlon's Top Speed Nail Enamel in Cloud- a white based lilac shade which adds radiance to the complexion of your skin when worn on your nails. It is a neutral colour, but it's quite bright, and it shines in the reflection of the light. The shade is ideal for the summer, but because it's a neutral yet radiant colour, it can even be sported on a rainy day- so this is defo for keeps if you live in the UK! The images below show the lilac colour to be more of a grey, but this was just lighting issues- the shade is a lot more brighter in reality. Some of the Top Speed range was released last year in the UK, but I think the extensive range available in the US has recently been made available in the UK. The Top Speed range does fulfil its promise of drying quickly. Plus, I love the design of the typical Revlon bottle with its sleek long bottle-top which can glam up anyone's dressing table! That sounds weird, but I pay a lot of attention of detail! 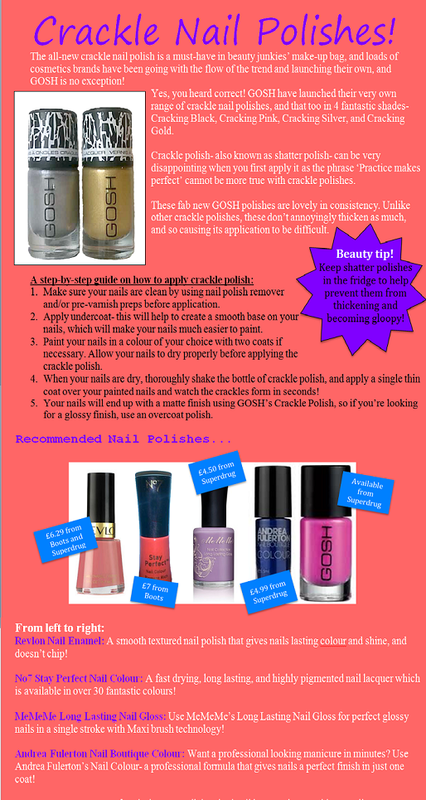 If you want to jazz up your nails, you can use a glitter overcoat to create the 'Ice Pastel' look. I currently love Revlon's new Nail Enamel in Stunning to do this. Revlon recently launched a whopping new 20 shades to celebrate the brand's 80th birthday, and they launched a few holographic sequined glitter shades. If you're going for a glamorous look, glitter nails are a must! 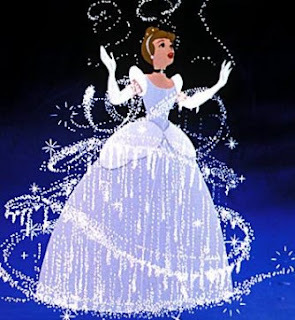 This look totally reminded me of the colour and glamour of Cinderella's dress when she went to the ball! What do you think of these Pastel/Ice Pastel nails? Are you a fan of Revlon Nail Enamels? Revlon Scented Nail Enamel in Orange Fizz! Revlon have left me gob-smacked with this one! When I first looked at this Scented Nail Enamel, I immediately thought "Pigmentation's not gonna be great and so I'd have to use about 5 coats to make it look good". I was wrong. I only needed to use 2 coats, and although I applied thick layers, I was quite pleased with the overall result as the polish dries very quickly. The colour is a lovely neon orange shade with bits of orange/pink/gold glitter, giving it a slight holographic effect, and it smells lovely! It's smells just like fresh oranges, and it doesn't smell artificial like other scented nail polishes. It's such an addictive zesty scent that lasts for ages, and even for a while after you use nail polish remover to remove the colour! Here's a little tip for these nail enamels if you're not happy with the pigmentation of the colour: Apply a layer of an orange colour nail polish on your nails and then use this Scented Nail Enamel as a top-coat for shimmery, and sweet-smelling nails! What do you think of these Scented Nail Enamels? Do you like this colour? This eyeshadow actually reminds me of bridal make-up as women tend to go for a typical 'White Pearl' look when they get married as it's a simple look that tends to go well with the traditional fancy white wedding dress. I'd definitely recommend this eyeshadow, or an eyeshadow of a similar shade if you were to ever tie the knot! I like to line the top of my eyes with a black liquid eyeliner (a line that's not too thin or thick), and apply this eyeshadow with my finger for a smooth, matte application that will glisten in the light. This eyeshadow is quite fine so it's easy to overbuild the application on your eyelids, and the eyeshadow tends to crumble in it's packaging- but this is just a presentation moan so there's nothing actually wrong with the product. Eyeshadows of a fine, smooth texture works well for me as I don't like to overdo make-up looks, and my eyes can get irritated with eyeshadows that aren't so fine! 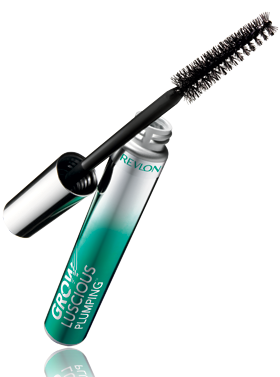 Revlon Grow Luscious Plumping Mascara! After the success of Revlon's Grow Luscious Mascara last year, Revlon did a pretty good job on creating a second mascara in the Grow Luscious range. The Grow Luscious Plumping mascara was born! If you've tried both of these mascaras, you would've realised that the brushes are obviously a lot different; whilst the Grow Luscious mascara had an oversized brush with level bristles, the Grow Luscious Plumping mascara has a narrow tip with a 'bristly' brush- allowing every lash to be coated (even the ones in the corner of your eye), and that too with precision. When this mascara is applied, it doesn't dry up quickly before you choose to add a second coat. Usually if the mascara dries up and you add a second coat, you end up with really clumped lashes that you won't be able to get rid of without re-doing your make-up! Revlon's Grow Luscious Plumping mascara allows you to apply a second coat properly by allowing you to re-shape, plump and define your lashes. The mascara retails at £9.99 and can be purchased at Boots and Superdrug stores. NEW Revlon Grow Luscious Lash Liners! The new eyeliners by Revlon are the key to bring out the sparkle in your eyes... Even on a bad day! Always in a rush? 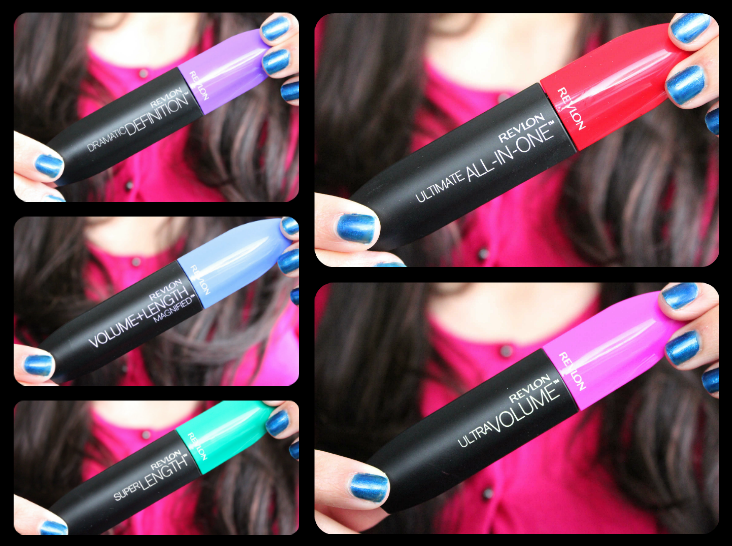 These eyeliners can give you an enticing look in just one stroke! They have a similar sleek effect to liquid eyeliners, so not only is the eyeliner easy and quick to apply, but it's also mess-free! You're bound to fall In love with the soft, creamy texture of the eyeliner, and your eyelids won't feel uncomfortable when applying it. The lash liners are deeply pigmented in colour, and guess what? They're incredibly glittery and sparkly too- Yay! What do you think of these eyeliners? Revlon Grow Luscious Eyeliners retail at £6.29, and can be purchased from Boots and Superdrug stores, as well as online. 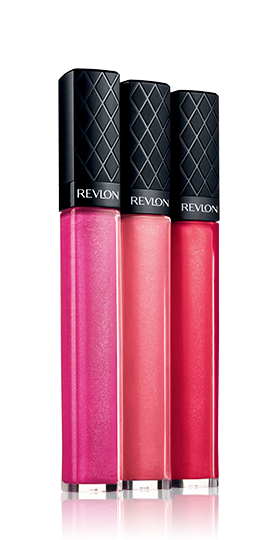 If you've always wanted a lip gloss that adds volumes of colour, shine, and a sprinkling of glitter, which doesn't have that tacky, sticky feel to it, you'll have Revlon to thank for introducing their new ColorBurst Lip-glosses. In its trendy, sleek packaging, the lip-gloss come in a huge variety of shades for all you lip-gloss lovers to choose from! With brilliant colours such as vibrant pink and soft gold, you’d probably end up buying all 15 shades. My experience of this lip-gloss was a pretty good one. The lip-gloss tube is specially designed to prevent excess lip-gloss on the applicator, which is great as you can build up the coverage to your satisfaction and evenly apply it over your lips. The lip-gloss didn’t last very long but I always say it’s good to re-apply lip-gloss in order to refresh the colour and shine of your lips. I was also impressed with the applicator of the lip-gloss- the tip is quite small and precise, which means that you can apply the lip-gloss with more accuracy. My favourite aspect of the lip-gloss has to be the vibrant colour and the glitter, which makes your lips stand out. My fave shades of this lip-gloss has to be Hot Pink, Strawberry, and Papaya. These lip-glosses are perfect for a glam night out or to add a bit of vibrance to your look, and with so many colours to choose from, you’ll find it difficult to not find a lip-gloss that matches your outfit. If you want to develop your look by adding more definition, colour and moisture to your lips, use Revlon’s ColorBurst Lipstick or ColorStay Lipliner. The lip-glosses are priced at £7.99 each. Make sure your lips are well moisturised before applying lip gloss as not only will it make your lips look more fantastic, but it will also allow you to apply the lip gloss much easier. I would say to use lip scrub, and a dash of lip balm in order to create a smooth base before applying lip-gloss. 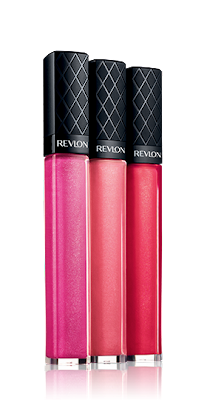 What are your views on the Revlon ColorBurst lip-glosses? Revlon products can be purchased at Boots and Superdrug stores.